Could Oneida be Your Next Move? Surrounded by the famous Finger Lakes and majestic Adirondack Mountains, central New York is a healthcare professional’s dream come true. Keep reading to discover why you should consider settling in Oneida, NY, and explore current opportunities for permanent placement through Oneida Healthcare. Madison County is composed of picturesque towns, and with beautiful tree-lined streets and sprawling parks, Oneida is no exception. 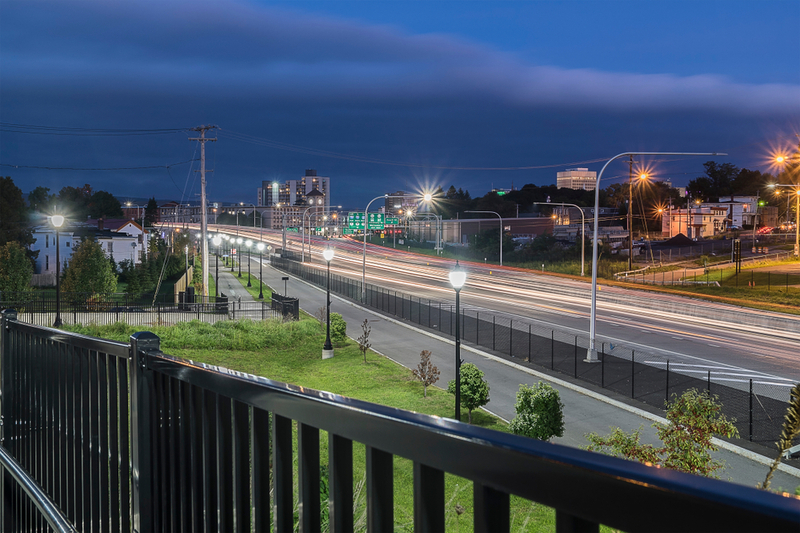 This family-friendly community offers everything from beautiful 19th century Victorians to a variety of new developments and an easy travel route to prominent destinations, such as Syracuse, Montreal, Toronto, and New York City. The Bistro at Villa Verona Vineyard – Fine dining in a casual atmosphere? You’ve come to the right place. This farm-to-table restaurant boasts New York State local products and original dishes that begin and end in the kitchen. The Black Stallion – A central New York favorite, this is one of the oldest family-owned and operated restaurants in the area. Inspired by classic recipes from Italy, The Black Stallion creates a memorable dining experience—you can’t leave without trying one of their homemade desserts! TS Steakhouse – Looking for upscale ambiance and a great meal for special occasions? You won’t be disappointed by the mouth-watering dishes and extensive menu of steak and seafood. Upstate Tavern – First impressions are everything. When you walk into Upstate Tavern, the vintage bar top, exposed brick walls, and rustic décor certainly set the stage for a relaxed evening out with friends. Enjoy the rotating tap selection of craft beer and a scrumptious selection of burgers and other pub fare. Wildflowers – Coined a “culinary jewel,” this elegant restaurant carefully curates each detail of your dining experience—down to the after-dessert gifts! Carrier Dome – This 49,262-seat sports stadium is the largest structure of its kind on a college campus in the country. Located on the campus of Syracuse University, the facility serves as a home for notable sporting events, concerts, and a variety of other performances. Destiny USA Mall – Visited by 26 million guests each year, this mall boasts over 250 places to shop, dine, and play. Featuring an antique carousel, ropes course, mirror maze, and golf course, it’s far more than just shopping—it’s a destination! Highland Forest – Enjoy over 20 miles of year-round rugged forest trails for hiking, biking, cross country skiing, and sleigh rides. New York State Fairgrounds – Hosting hundreds of events throughout the year, the New York State Fairgrounds draws about one million people to its non-fair attractions. The online calendar updates regularly, so check it out to see what’s on the horizon! Onondaga Lake Park – Often called the “Central Park of Central New York,” this stunning park sits beside a beautiful lake and is a popular landmark for family-friendly recreation with separate biking and running trails. Showcasing beautiful sunsets, Onondaga Lake Park doubles as a spectacular venue for festivals and community events. Interested in learning more about permanent opportunities in Oneida? Contact Optimum Permanent Placement Services at 603.732.0663 to connect with a knowledgeable recruiter, and check out our blog for the latest news and other helpful information.